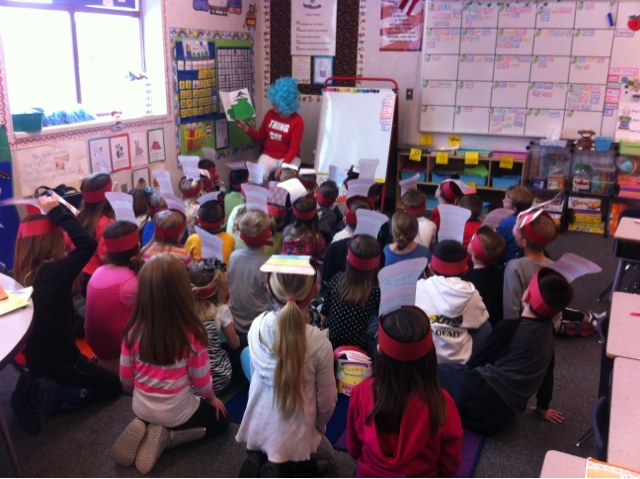 Teach Love Laugh: Hope You Had a Seussical Day! 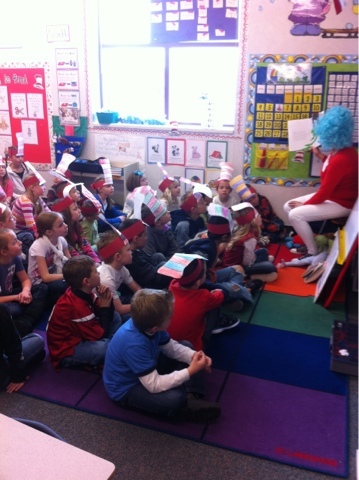 Hope You Had a Seussical Day! 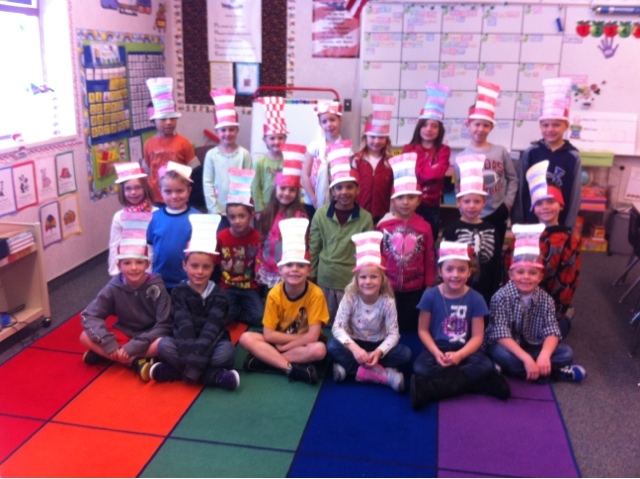 We celebrated Dr. Seuss' birthday yesterday because today was a teacher work day in preparation for conferences next week. 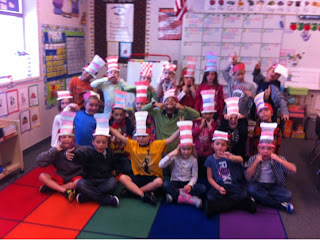 We started the day by making the obligatory Cat in the Hat hats and posing for photos. 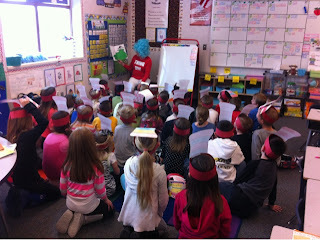 Then our Darling principal dressed up as Thing One and came to read to our kiddos. 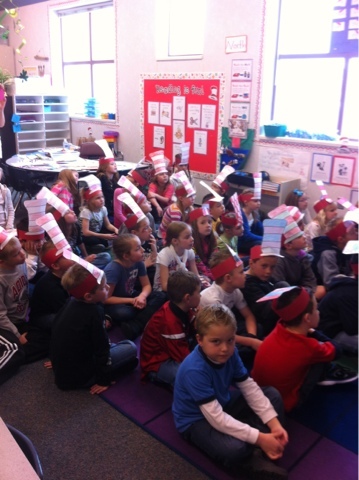 Of course we made sure that we had on our Seuss party hats on when she came! Looks like you all had a lot of fun! Love that your principal dressed up! 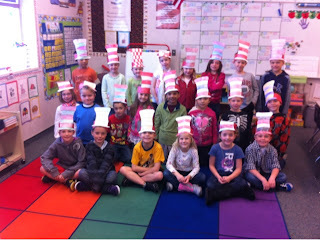 We made hats with paper, hats with Lifesavers and frosting, story mapped The Cat in the Hat, etc... Come see the pictures if you like. I will pop on over for sure! Sounds like you have tons of fabulous ideas! Thanks Tammy! I think they are pretty sweet too! Have a wonderful weekend!! What a great sport your principal is!! We are celebrating tomorrow! I love the wig! That is amazing that your principal did that!! What a cool principal!!! We had a lot of fun with Dr. Seuss week, too. 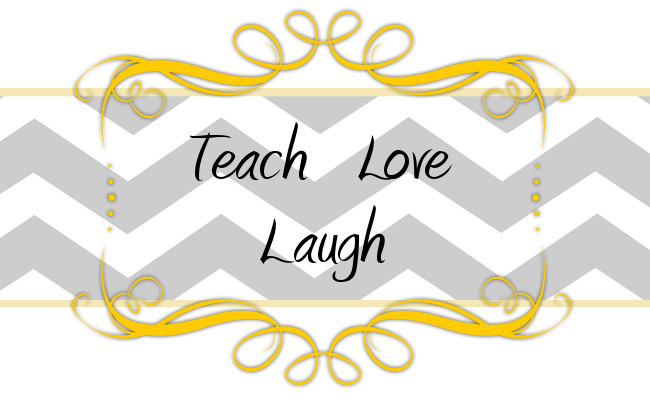 I have an award for you on my blog- come over and check it out! Oh my goodness! Thank you so much! We really appreciate it! How special is that! I love y'alls cute blog. I can tell you both are wonderful teachers touching the hearts of your kiddos. Egg-stra, Egg-stra! Ready for Spring Break?